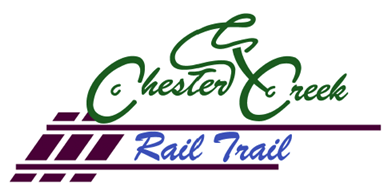 Delaware County Council has awarded the contract for the engineering work to be done on the Chester Creek Trail, Phase II to Wilson Engineering, the same firm that handled Phase I. When Phase II is complete (there are several steps before we get there!) 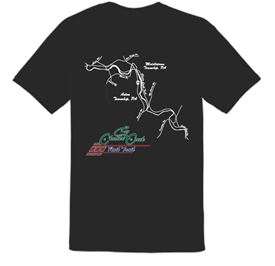 the trail will run to Bridgewater Road in Aston. 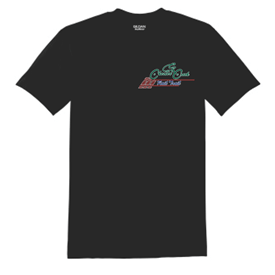 Here is a link to more information on Aston Township’s website. Sarah Clarke Stewart, Executive Director of the Bicycle Coalition of Greater Philadelphia was our featured speaker, and discussed regional trail-building efforts and the Circuit Coalition. The meeting also included a yearly update, financial report, election of board members, and time for questions. 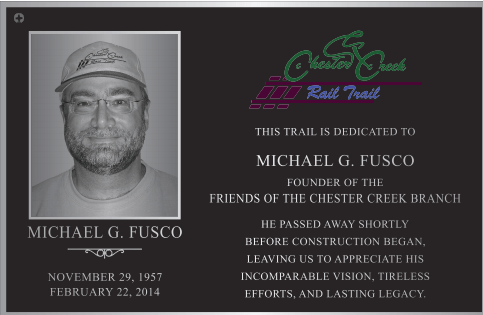 Thank you to all who supported the Chester Creek Trail with the purchase of a commemorative brick. The bricks have been installed near Mt. 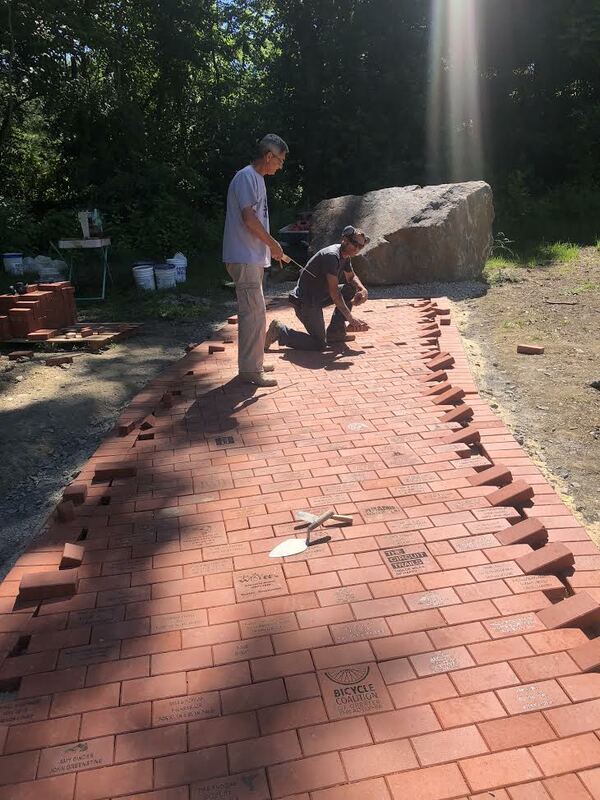 Alverno, and the next phases of the project will be installation of a plaque in honor of our founder, Mike Fusco, and landscaping around the brick walkway. 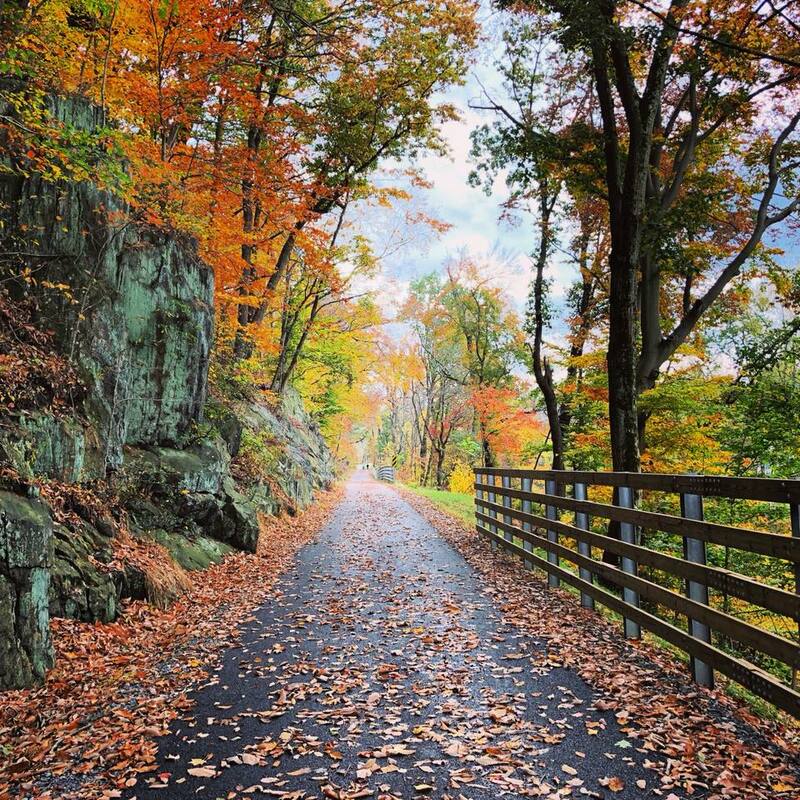 Photo of the trail in November 2017, courtesy of Bill Smith. 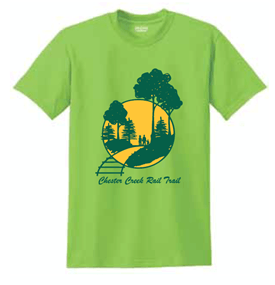 If interested, send an email to info@chestercreektrail.org with your name, phone number, and desired item/size, and we’ll contact you. Thanks to all who were able to attend the ribbon cutting on Saturday, April 8! You and Other supporters made this possible. 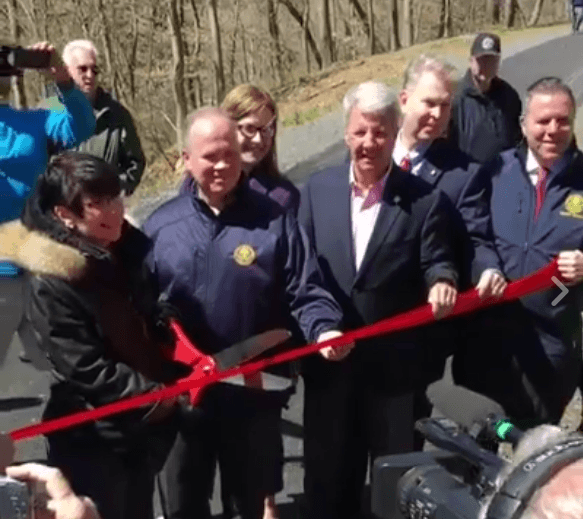 After over twenty long years of feasibility studies, grant-writing, and securing of approvals, our community now has the first 2.8 mile phase of a beautiful paved trail that we can enjoy for cycling, running, and strolling. Construction is now essentially complete of Phase I (2.8 miles). Engineering design work is underway on Phase II of the project. We need your help. 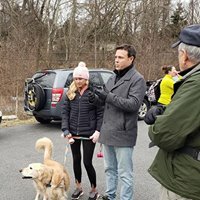 Please “like” us on Facebook, share the news about the trail’s progress, join us at upcoming volunteer events, and support your trail financially. 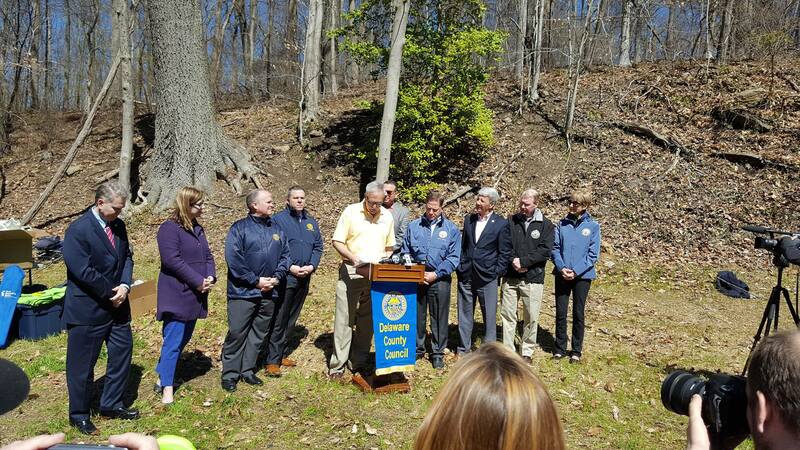 While federal, state, and foundation money is often available for design and construction, Friends of Chester Creek will continue to assist with maintenance and other administrative costs. 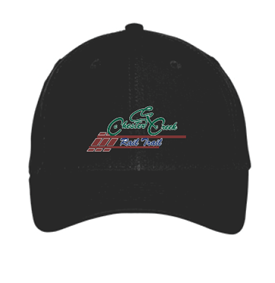 For example, in 2014, we incurred over $13,000 in engineering and legal bills during the final approval phases, and there are no grants available for these kinds of expenses.